While I was posting my last post, I came upon The Magic Onions tutorial for pressed flower Easter eggs. The Magic Onions shows you how to make these cute Easter Egg Candles that fit right into those great Egg holders…. perfect for you Easter Dinner Table. 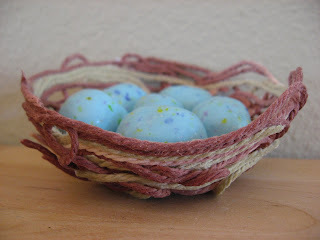 Homespun Light had her son make paper Easter eggs and then she put them in a basket on the wall!! So cute! Visit Creative and Curious Kids to find out the story and the craft that goes with it! Great for this week preparing for Easter! No Time For Flashcards has a cute little yard project to make a bird nest. Your kids will love this…glue and a balloon…need I say more? The Magic Onions shows you how to make these beautiful simple candles out of Egg Shells and Beeswax. 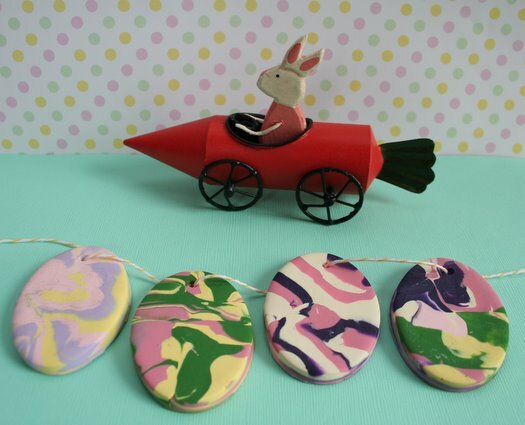 We’ve only got a few more days for Easter Crafts, so lets get crafting! 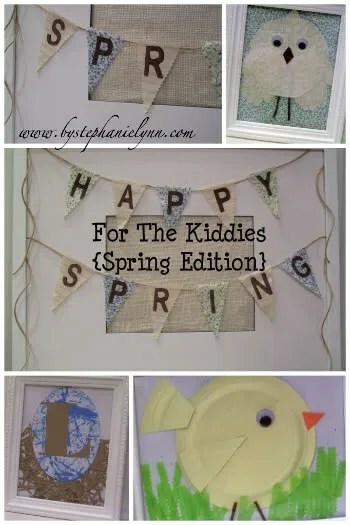 Under the Table and Dreaming has some really cute ideas for decorating your home with kids arts and crafts. Here are just a few pics from her post. She is REALLY talented! Frugal Upstate has compiled an incredbile list of 36 handmade Easter Basket ideas…you have to head over and check them out! 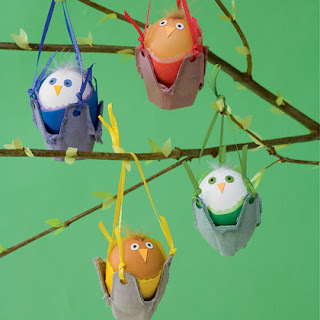 Mother Nature Network has compiled a bunch of cute Easter and Spring Crafts for children. Here are just a few pics from the site. Check it out! This eco-friendly egg carton craft is perfect for brightening up your living space for Spring! Eco.Logical.Mom shows you how its done. This is a great craft for the little ones! Turn Plastic Easter Eggs into Animals. Adorable! Jolly Mom shows you how. This is a great craft for your older children to express themselves artistically during the Easter season. Charlottes Fancy gives a great tutorial for how to make them. 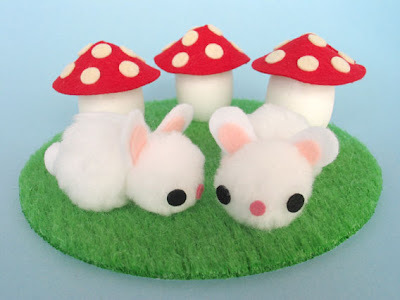 Fantastic Toys shows you how to make cute little pom pom bunnies and mushroom eggs for Easter decorations. Too cute to pass up! This idea is so cute… I always love decorating bare walls …especially with bare feet!! Check out The Scrappy Tree for the how to.